Beautiful Sunrise WordPress SEO Theme version 3 was last tested on WordPress 3.1 and no issues found. Update June 2014, the free Beautiful Sunrise AdSense WordPress theme hasn’t been updated for around 6 years, have no plans to update it in the near future. If you are looking for a free AdSense WordPress theme use the Talian 5 AdSense theme, looking for a WP theme with AdSense, Chitika, Kontera, Infolinks and custom ads built in, plus awesome SEO features see the Stallion Responsive Premium theme (not free). 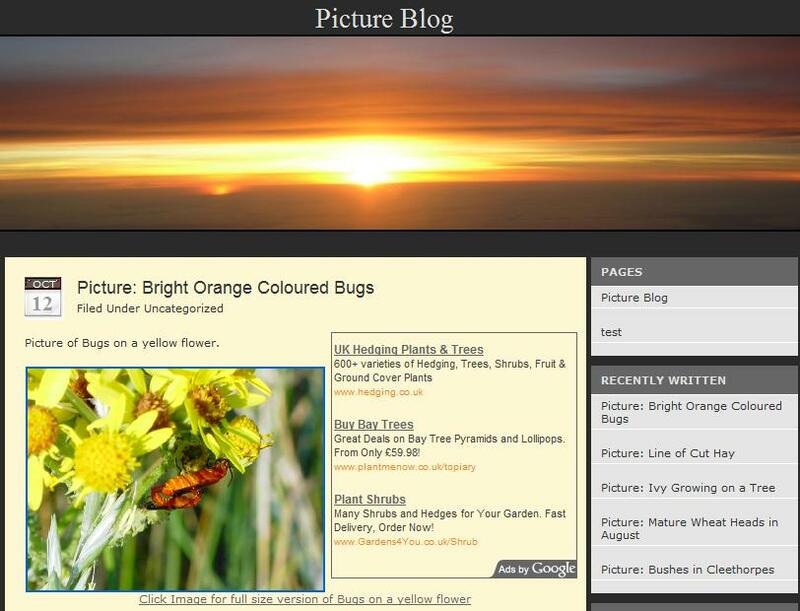 Consider Beautiful Sunrise as an archived WP AdSense theme, will probably have issues with latest version of WordPress. Beautiful Sunrise is Widget compatible, works with the new widget feature added to WordPress 2.3 (no theme editing needed). Added widget compatibility January 2008. 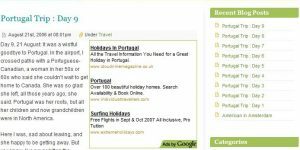 Targeted AdSense Coding: New option from Google AdSense, we’ve incorporated this feature into all of our WP themes including Beautiful Sunrise. The targeted AdSense coding can not be used with popular AdSense addons for WordPress, unless you edit your theme manually. Added targeted AdSense coding January 2008. You can see the Google AdSense ad units in the screenshots below, a 250×250 ad unit that floats to the right at the top of the content of the first post ONLY, a sidebar ad unit 160×600 and a bottom (not quite footer) AdSense ad unit 336×280. The first screenshot of the Beautiful Sunrise AdSense + SEO theme shows the home page format. You can clearly see the floating first post AdSense ad unit. Note: with the version 03 Beautiful Sunrise WordPress AdSense + SEO theme the ad unit sizes are easily editable, so if 250×250 AdSense unit within the first posts content is too big in your opinion, it’s easily changed. We’ve included an extra file (found in the /alt/ folder of your Beautiful Sunrise theme directory) that will change all your ad units to less intrusive sizes, giving you two default sizes (large or small) that can either be used as is or edited further to match your blogging needs (full editing instructions are supplied with your WordPress theme purchase). The second screenshot shows a single blog post page using the Beautiful Sunrise theme, this is where individual posts are shown (like the page you are reading now). You can see the floating ad unit again, the top of the vertical 160×600 ad unit on the right menu and the large 336×280 ad unit at the bottom. More content a post has (or comments) further down the page the last ad unit is found (so most pages won’t appear this cramped when using Beautiful Sunrise, great for taking a screenshot though :-)). In my experience it’s the blog post pages that will create most Google AdSense revenue, especially the 250×250 square unit within the main blog post content (it’s a real hot AdSense CTR area and if you want max AdSense revenue keep it at 250×250). 1. Unzip the Beautiful Sunrise zip file. 2. Edit the file adsense.php within the /beautiful-sunrise-adsense-seo-03/ folder to include your Google AdSense code (read the readme.txt file for more details, very easy to do). Note: Adding your unique Google AdSense publisher code (your pub-##### number) is the ONLY required change needed to the entire Beautiful Sunrise AdSense + SEO theme to make the theme ready to turn your WordPress blog into a Google AdSense residual income stream. 3. Upload the entire /beautiful-sunrise-adsense-seo-03/ folder to your WordPress themes directory (via FTP, just like any other WordPress theme you’ve tried). 4. Log into your blogs dashboard and under Presentation select the new “Beautiful Sunrise AdSense + SEO 03” WordPress theme and you are done. The Beautiful Sunrise AdSense + SEO theme out the box uses blended ad unit colours and large ad units for maximum CTR/AdSense revenue (like all WordPress AdSense themes on this site). If you wish to change unit colours and/or ad unit dimensions this can be achieved by editing just one file (adsense.php). If you don’t like the 250×250 sized ad unit for example, no problem a few minor changes and you could have a smaller 180×150 ad unit. Don’t like image ads, again no problem specify text only ads. Also checkout the /alt/ folder where you will find an alternative adsense.php file that uses smaller ad unit sizes (try it out, see what you think). Most WordPress themes aren’t too bad SEO wise when downloaded directly from their original creators, but there are always improvements that can be made for maximum SEO impact and the Beautiful Sunrise theme was no different. Optimized title elements (and meta tags, though meta tags aren’t very important these days). Take a look at the title of this page, (this site uses a AdSense + SEO WordPress themes) note it’s keyword rich and lacks the name of the site (for SEO reasons). Optimised headers, (H1, H2, H3, H4) for example on blog post pages like this one the name of the blog is NOT within a H1 header, (interestingly this is the first WP theme I’ve used that did NOT have a H1 header that holds a link to home page). Instead the title of the post for Beautiful Sunrise theme users is within the H1 header and the link to home is only a H1 header on pages that lack a true keyword focus like the monthly archive pages. Optimised anchor text of text links and rel=nofollow links to ALL unimportant pages (from an SEO perspective) like the login/register, trackback and RSS feed pages links (those links waste a LOT of PR/link benefit). Every blog post can have a trackback text link and an RSS feed text link, this means for a blog with 100 posts there are two hundred wasted links to these 200 pages that from an SEO perspective you DO NOT want spidering/indexing!! The Beautiful Sunrise theme adds rel=nofollow to these trackback and RSS feed links saving a LOT of SEO benefits and preventing some SERPs issues that can occur with these pages. Support for the Free WordPress SEO Plugins on this site. 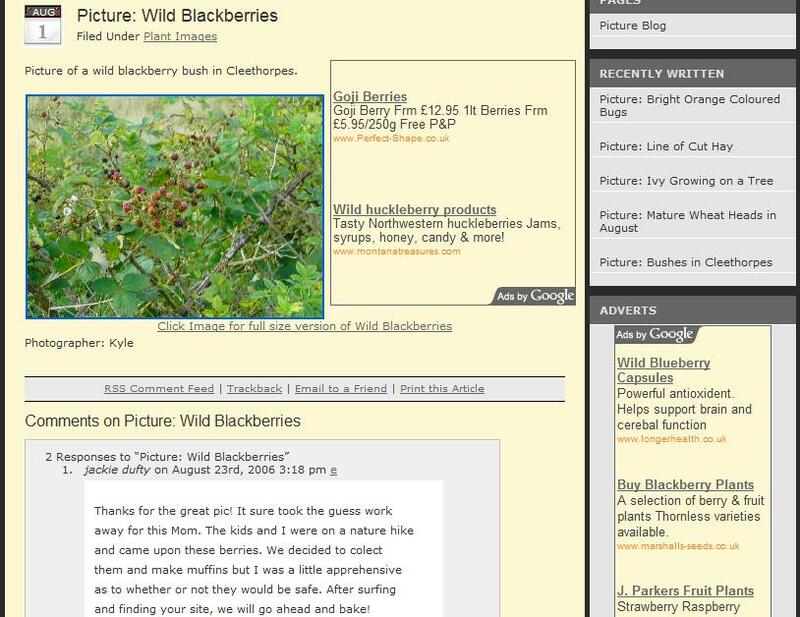 Basically optimised everything I could which makes the WP themes on this site the most optimised WordPress themes online. I did everything as per the instructions in this theme, but I am pretty sure that the ads on my site are still not linked to my Adsense account. 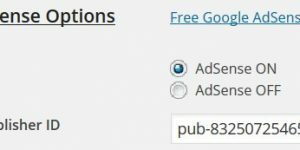 When I get my ad code from Adsense, it shows me a “ca-pub” instead of a “pub” code. I did some research to find out what those even mean and if it matters, but I am brand new to this and couldn’t wade through all the jargon. I tried both, putting the “ca-pub” one day and then deleting the “ca” and just putting in the “pub” for the next day. Neither try resulted in Adsense picking up on my pageviews. It is a new site so I probably don’t have any ad clicks for Adsense to register yet, but I know I have pageviews because of a plugin I installed. I don’t think Adsense is picking up on my pageviews, so that makes me think that the ads on my site and my adsense account are not properly linked. I have submitted a question to Google’s adsense forums but no one is responding… I am hoping you can help me with this because I really do not have the money to hire someone to do this for me. PS, the theme is very nice, but for this possible issue. You are right you’ve not setup the Beautiful Sunrise theme correctly. to yours. Doesn’t matter if you add the ca- part or not, both versions will work. You can double check if you’ve done it correctly by viewing source of your home page (File >> View Source) if you see pub-8325072546567078 within the code (as you do on your site right now) you’ve done it wrong. When you see your pub-number you’ve done it right. If you’ve installed using FTP edit the adsense.php file before uploading the theme files, it’s the file found at /beautiful-sunrise-adsense-seo-03/adsense.php not the file within the /beautiful-sunrise-adsense-seo-03/alt-files/adsense.php folder (that’s an alternative AdSense setup with smaller ad sizes). If you see the latter you’ve edited the wrong file, look for the adsense.php that lacks Alt. Wow, thank you so much for your help; I have been waiting for days for a reply to Google and I got nothing – you solved my problem. For some reason, it wasn’t recognizing that the alt adsense.php was not supposed to be the primary one. I just uninstalled the theme, copied the alt folder elsewhere so I could delete it from the theme folder, and reinstalled. It worked perfectly! And thanks for telling me about the page source trick, I never would have known how to double check. As soon as I make a little money with my new site you can be expecting me to upgrade to one of your paid templates instead of a free one, as a thank you. Create them as Static Pages and add the Pages widget to a sidebar.